Yes, that’s true. Google has unleashed the Penguins to find and destroy the bad fish around there. They are roaming on internet to find their preys, to catch them. Now all the search engine optimization specialists are looking for different ways to hide their customers from Penguin update, or else they will get the boot. Lot of search engine specialists and technical writers are writing methods and articles like fiction stories. 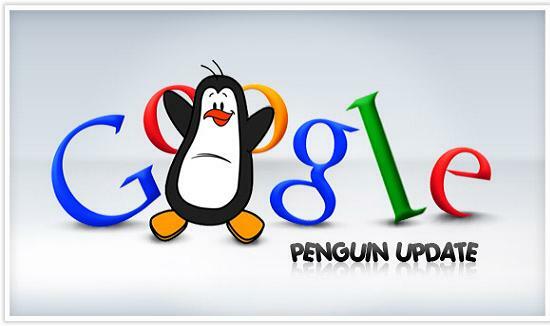 Let us find out how to check whether a website is vulnerable to Penguin update. 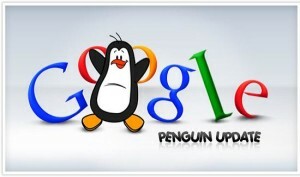 Penguin update is a Google algorithm update aimed to decrease the value of content farms like article directories, web spammers and websites that manipulated engine positions through artificial back links. It has affected almost all article directories, websites with less content and websites that have built links through these link farms. Many leading article directories have lost as much as 70% of traffic and revenue after this update. Ezinearticles.com, one of the leading article directories of its time, has lost around 70% of traffic due to this update. If your web-site have back-links in link exchange programs or in any of your friends web-sites (like partners etc), You are at risk. Make sure that all the back links adhere Google’s quality guidelines to avoid considering them as unnatural links. Remove links from link exchange programs and from other thin content websites. Back-links from article directories are considered as unnatural links. if you have do follow back-links from article directories liks ezinearticles.com, you are at risk. Article directories like ezinearticles.com were a link building platform in olden days, but not anymore. Now, they are considered as unnatural link building platforms. If you have any articles in ezinearticles.com or other 2-dollar article directories with back links, remove them as soon as possible, so that penguins will not find your trace there. If the republishers has published your ezinearticles with back-links to you, then you are at risk of penguin penalty. All these article directories allow republishing of their content with back links to author’s website and to themselves. Previously, it helped build the page rank and search engine position. But this became a nightmare for webmasters. Send an article removal request to the webmasters where the articles have republished. If the webmaster did not respond, contact the host and request them to remove the article through copyright claim. Using search optimized anchor word in resource box is against google’s guide line. After the Penguin and Panda update, quality of the content is very important to get a good search engine ranking and better search result position. Improve the quality of your content to make sure that it stands out from the rest. You may have to spend a few bucks on creating quality content as only experts can do it, but surely it’s all worth it. Check for quality backlinks from good blogs and top quality sites like hubpages, squidoo etc. Google Quality Checker will be asking themselves “does this link would be there if search engines didn’t exist?”, and make sure they get “YES” for the above question. Otherwise, you’ll be in trouble again. Add your links as a neutral referral links. Add at least 3 or 4 similar or relevant referral links in the article. If you are selling pizza in Melbourne, add links to pizza shops in Sydney, Darwin and Adelaide Perth. All these people are in the same field as you and they are not competing with you. Add articles to revenue sharing websites like squidoo, hubpages, buksia, etc. Create 100% neutral blogs in wordpress and blogspot. When writing an article, just think about that article. Do everything you can to improve the quality of the current article. Never write an article just for SEO purposes. 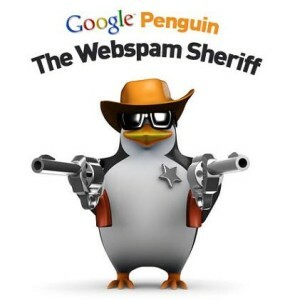 Once caught by Penguin, website’s traffic will decrease, unless immediate action is taken to remove all the unnatural links as soon as possible. Google sent out about 700,000 unnatural link emails to the webmasters through the webmaster tools. This results to almost 70% revenue and traffic lost for many webmasters. Most of these webmasters have build links through these article directories by submitting 400-word articles with their links on it. The aftermath of the update has been a mess and a nightmare for most of the webmasters.Website owner may have to start from the scratch as Google administration will never disclose the the links they consider as unnatural. It will be up to you to determine which natural and unnatural link is. Here’s the sample messages you may receive if they find unnatural link pointing to your website. The cleanup process to come out of this penalty is really laborious and time consuming. Many website owners have removed their articles from these article directories and have them republished in their own websites. The removal process, with its crucial process, was almost impossible. So, if you don’t want the Penguins catch you, better check your website and make sure it’s not violating Google Quality Guidelines. Avoid common mistakes that even the experts are doing. I have seen The Definitive Guide to Recovery from the Unnatural Link Penalty in search engine journal. l took this article as an example to show how people make simple mistakes. Pratik Dholakiya is Director of SEO & VP of Marketing at E2M Solutions, a company that specializes in advanced link building services. Pratik has studied recent Google algorithm changes (Panda & Penguin) very closely and performed insightful research to come up with a legitimate strategy that works in post panda/penguin era. You can contact him on twitter@DholakiyaPratik or by email. If you did not receive this message from Google, and you had Webmaster Tools set up when you lost your rankings, you were not hit by the unnatural link penalty. It’s important to point this out, because the number one error that people make in response to a penalty is incorrect identification. Most affected clients, and even many consultants, fail to understand the differences between direct and indirect penalties, and the various types of penalties involved. If you weren’t hit by the unnatural link penalty, get in touch with us or take a look at our guide to learn more about penalties. How can I build influential relationships that will result in natural links? How can I attract constant sources of referral traffic that will lead to conversions and natural links? How can I produce content of a high enough caliber that it will be published on high traffic sites, so that guest posting is justifiable as a marketing strategy beyond link manipulation? How can I work with people who naturally attract attention wherever they go online? Article above has three self-serving unnatural backlinks to the author’s domain. Interestingly, the article is discussing about the unnatural link penalty and how to come out of it. The article is very informative, helpful and interesting, but the combination of resource link and content links in the article made the author’s website a prey to penguins. Penguins will be happy and they will grow as long as the search engine experts do silly mistakes like this. Back links play a very important role in search engine optimization and we should do it to improve search engine result positions of the website. Adhere to Google quality guidelines while building back links, or the backlinks may be flagged as unnatural links and will put you in deep trouble.